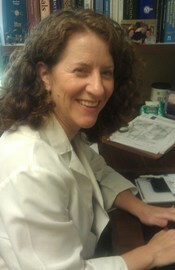 Dr. Nicole Ogg is a native of Texas who moved to Western North Carolina in 1998. She received a Bachelors of Science degree in Zoology from the University of Texas at Austin in 1992. In 1998 she earned her Medical Degree from the University of Texas Health Sciences Center in Houston in the world-renowned Texas Medical Center. After completing her medical degree she moved to Asheville, where she completed a 3-year Residency in Family Medicine at MAHEC. Prior to opening Dry Ridge Family Medicine, Dr. Ogg worked for over 8 years at the Hot Springs Health Program. While there, she took care of a wide variety of patients, ranging in age from newborn to over 112 years old. She spent most of her clinic time working out of the Marshall office, but also worked in Mars Hill, Laurel and Hot Springs, as well as in two nursing homes, Elderberry and Brian Center Weaverville. She has extensive experience in chronic disease management, such as diabetes, hypertension, COPD, and obesity, as well in acute care problems such as laceration repair and asthma exacerbations. She is also a big proponent of preventative medicine and performs regular physicals and gynecological exams. Dr. Ogg has lived in Weaverville since 2001. She enjoys her home nestled in the trees near the Blue Ridge Parkway, where she lives with her spouse, 2 dogs and 1 cat. She enjoys the outdoors, especially gardening, hiking, camping, and boating, and also enjoys watching college football (go Horns). She also enjoys spending time with many wonderful friends, and family, and believes that every day should be lived to the fullest.